Bring the children to celebrate Easter Sunday with us. We love a family gathering and want to make these moments special for everyone. 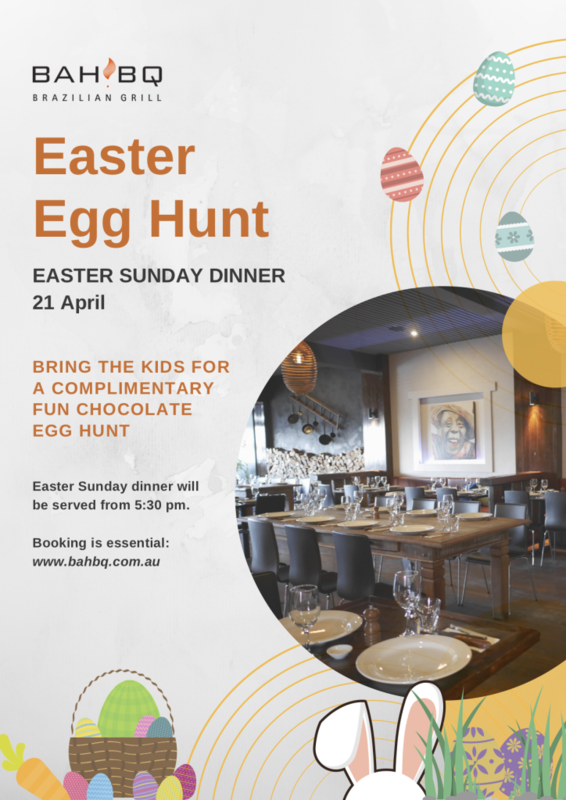 While the parents enjoy our delicious churrasco menu for dinner, we will entertain the little ones with a fun chocolate egg hunt. Book your table now!